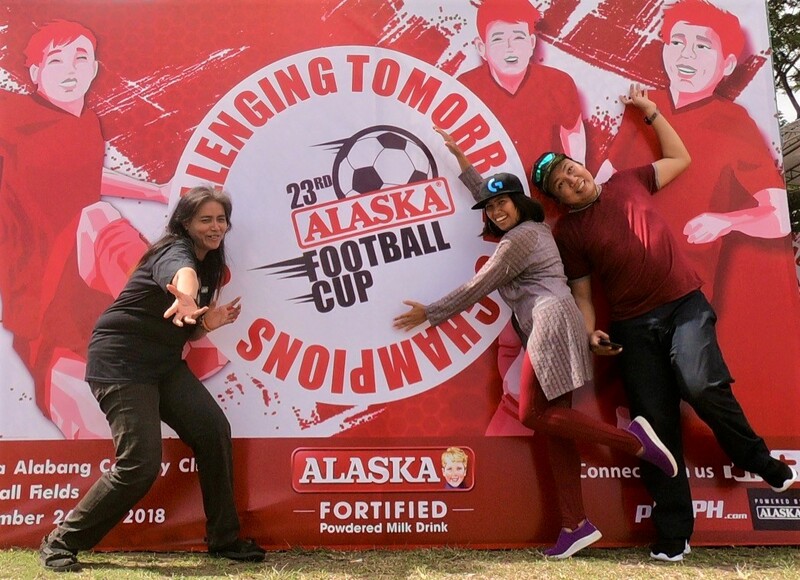 Last November 24, the huge football field of Ayala Country Club in Alabang Muntinlupa City became a venue for a family day hosted and sponsored by Alaska Philippines. The 23rd Alaska Football Cup didn't seem like a tournament because each football team had their loving family in tow as they compete with the other teams. This year's Alaska Football Cup is composed of 3,800 participants in 260 teams - almost a half smaller than the delegation in 2015 when I first did the AFC coverage with my family. 75% of the players this year came from the provinces and the remaining 25% is from Metro Manila. Although the number of participating teams had decreased, the passion of the organizers, the hosts, and the players and their family for the sport just keeps on burning. Thousands of these children athletes ranging in ages from 3 to 16 years old, gather for one of the biggest football festivals in the Philippines to enjoy the games and inspire. 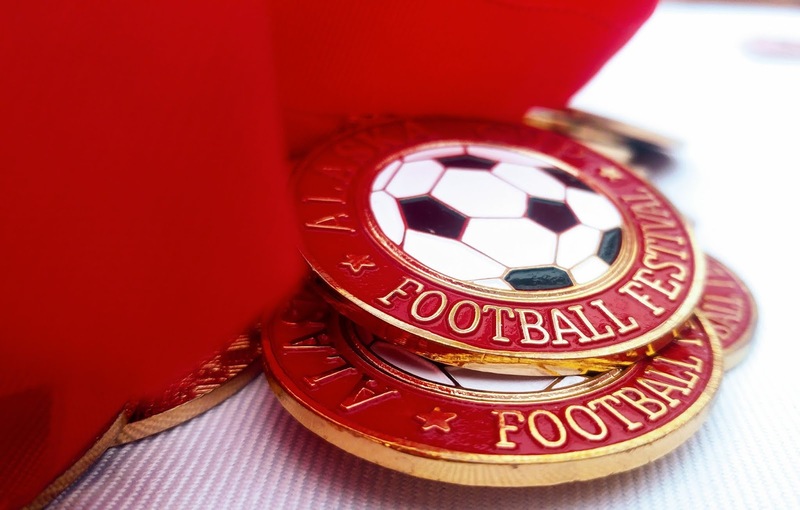 The Alaska Football Cup is a program that aims to inspire children to develop their winnings habits by encouraging them to live a healthy and active lifestyle and develop good values. One of the participating teams Atletico Diliman Football Club is composed mostly of children as young as 3-years old students from neighboring schools like Marist, Claret, UP Integrated School, and Balara Elementary School. They just play during weekends at the uneven surface in the middles of the Sunken Garden in UP Diliman. 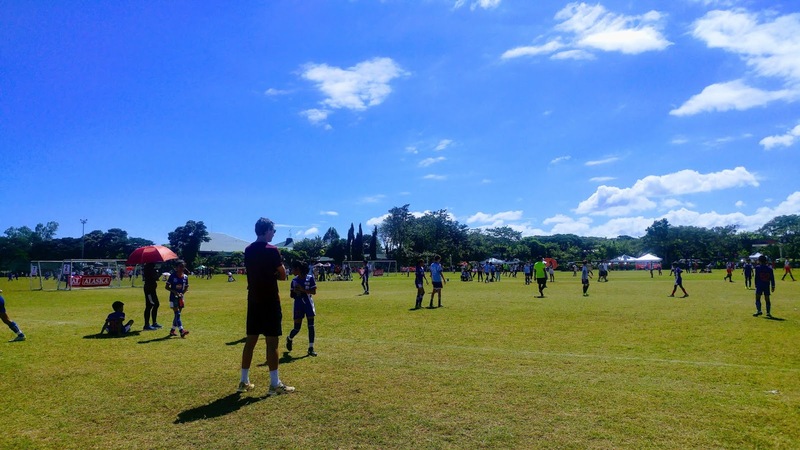 Atletico Diliman started years ago when former football players organized a weekend get-together so that their children can play the game. One of their products is 17-year old Franco Villaprudente, who consistently joined the AFC. Some are now football scholars at De La Salle University St. Tomas and in US schools. Cheering on at the sidelines but upfront with their encouragement at an event of such magnitude, are the ever-supportive parents, especially mothers. Last year, nearly 4,000 participants and 338 clubs and school teams saw action in the 2-day event that played a total of 16 age categories in the boys and girls divisions, as well as in the men's and women's open in a 7-side tournament. Despite the lack of facilities, stadiums, parks, and fields for football; the founder Mr. Tomas Lozano is very grateful that there's a big company like Alaska that supports Filipino kids. Nothing significant happening for this year's 2-day event of AFC according to Ms. Dianne Guarte, Associate Brand Manager of Alaska Milk Corp. They are just focused on the kids who grew up playing football in AFC and they want to continue the program which is one of the biggest football cups in the country and to inspire more kids to just play football and play the sport.